We are Morristown Elementary School District, and our students are the pulse of this community. Our single-campus school district creates a peaceful, involved community, which we believe is the key to fostering a safe learning environment for our students. The first school in Morristown was in a vacated saloon on the south side of the railroad and town. Leora Randall O’Brien, also known as Peggy, turned the saloon into a school in 1915. 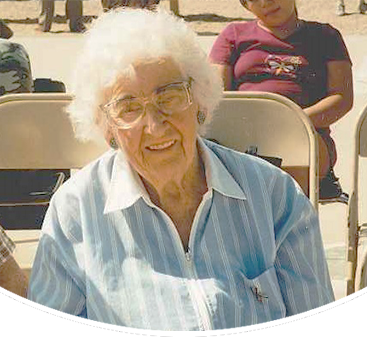 She and her family were early residents on the Hassayampa River. Peggy was determined that her children would be educated. When she approached the Wickenburg school superintendent, R. E. Crousa, she had fulfilled all of the necessary requirements to start the school with at least seven students. Jack O’Brien, Shade Hardee, and Harry Cox furnished the labor for the remodel. The county seat sent out Dixie Lacey as the first teacher. The first year, there were reportedly two Ortega brothers and two Champie children from the Champie Ranch at Desert Hot Springs in attendance. The new school at the present location opened in 1927-28. Ena LaMar McGuire, who still resides in Morristown, was the sole graduate in 1928. Seven LaMar children, one grandchild, and Howard Lilly graduated from Morristown School and Wickenburg High School. For a number of years, we had a one room schoolhouse and one teacher for all eight grades. Mrs. Golda Hardee and Mrs. Jess Hamilton were two of our early teachers. Mrs. Golda Hardee first taught in the years of 1918–21, and then later. Out of Morristown School we have had an attorney, a doctor, two nurses, several teachers, our own Head Teacher, and a former world Yo-Yo champion, Sam (Tex) Schultz. Our attendance has grown from seven students in 1915 to over 100 today. To read more about our school’s place in the community of Morristown, visit Our Community page. We’re very proud of our history, as it has helped us get where we are today. Visit our Morristown School page to learn how we’re educating students for the present and the future. The mission of Morristown Elementary School District is to provide learning experiences that help the young people in our school live happily and productively as adult citizens.